Digital Rights Management, digital media asset management, publishing and monetization of online video assets, Cloud signal encoding for live and VOD; with multiple inputs and output formats, 24x7. KwikTec's Content Delivery Network is built for the fastest, smartest and most efficient delivery mechanism available. You can decide which countries can view your stream. Most content providers have restrictions between borders so this is a useful feature. Your live stream is recorded directly onto our CDN servers as standard practice. KwikTec team will be with you to assist when setting up your DVR services like time-shift or catch-up services. We will provide you with detailed reports as statistics about your live stream are very important. The reports will include information on who watched your stream, where they are based, how many hits the player got, their browser and operating system plus more. We provide you with power at your fingertips to manage and control your live stream in real-time. Create publishing points, stream names, secure your content and access technical support and billing from our easy-to-use control panel. You can push the live content to our CDN server using FMLE, HLS or any other encoders which support the RTMP or HLS protocol. We can pull the live content from your RTMP, HLS, HDS, DASH, RTSP server and any other CDN providers you may be working with. This is not your average out-of-the-box technology as many other HTTP live streaming providers use. KwikTec has developed its own in-house HTTP live streaming technology which we like to call DaS (Dynamically accelerated Streams). SLA is an important factor to KwikTec and we want to gain the confidence of our customers by setting the industry standard. Broadcast expect 100% uptime and we attempt to meet a broadcast spec service. What sort of material/media can be streamed or encoded? KwikTec is capable of streaming and encoding a wide array of video formats. We encode all recorded video into various formats available immediately. Our encoders can accept various formats of material to compress or convert to any alternate format. How can I make sure that my audio/video will look good when streaming? There are several things you can do to ensure that your final production leaves an impact. Though these are not binding rules, they can save your final edit from looking cumbersome and sloppy. Speak to one of our representatives before you start your production and we can guide you with lighting, fixed camera positions, close-ups and more. Does KwikTec's Streaming Media Services automatically link my files to my clients Web site? No. Your company’s webmaster usually takes care of this process. Give us a call and we will provide embeddable HTML5 players and/or a comprehensive set of APIs to hand over to your webmaster. KwikTec provides real-time video and audio encoding to linear broadcasters and live streaming events producers, to old platforms and new media platforms alike. KwikTec’s infrastructure performs simultaneous processing of multiple video outputs, delivering the high-quality, high-efficiency performance required for formatting live video for any device. KwikTec's products are designed to integrate seamlessly into any end-to-end real-time video delivery workflow, evolve as technology requires and maximize revenue opportunities. Setting standards for developing flexible, durable, and sustainable online video solutions. 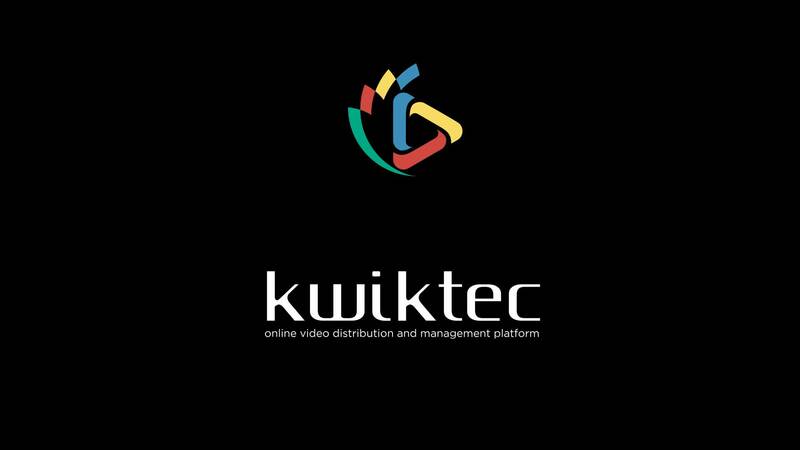 KwikTec is looking for new technology partners with whom share expertise and experience to reach new markets and territories, providing customers with a premium video and audio streaming platform at a very competitive price. Our business relationship with the partner is professional and committed which we formalize with a written contract. The relationship is based on the mutual collaboration in order to generate business and profit for both parties.